SHAPESHIFTER! 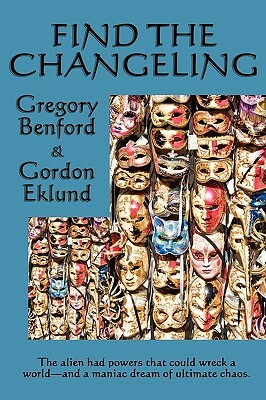 The Changeling could become anyone or anything-man, woman, child, animal. It was endowed with an inborn lust for disorder and destruction. Now it had chosen the plague-ridden planet of Alvea for its next mission-to throw an entire world into eternal chaos and madness. The Earth Consortium could send only an embittered killer and an untrained anthropologist to hunt down the Changeling. Yet, dangerous though it was, the Changeling was not the only peril the Earthmen faced on Alvea, or the worst-for the Alveans feared and hated Earth. Even a hint of the hunters' identities would leave them dead and dismembered within minutes.... Gregory Benford and Gordon Eklund, authors of the Nebula-winning If the Stars Are Gods, have crafted a taut, memorable SF thriller.